Now that you have purchased a visitors insurance policy for yourself, a family member, a relative or parents visiting USA or another nation, you are now covered for sickness and injury per the policy schedule of benefits and plan summary. A through review of the wordings in these documents is required to fully comprehend what is covered in the plan and what is excluded from coverage. Typical visitor insurance plan exclusions include chronic conditions such as kidney failure, cancer, etc., so these short-term plans will not provide coverage for these conditions. Many comprehensive plans offer pre-existing coverage up to limited maximum benefits that cover acute onset medical conditions such as myocardial infractions (heart attack), stroke, etc., but would exclude this benefit if the condition has manifested before the purchase of the policy. Fixed benefit plans only cover eligible medical expenses up to certain set or scheduled amounts for each medical condition or procedure. After getting access to the required medical care utilizing the visitor medical insurance ID card for proof of coverage, it is time to submit a claim to be reviewed and reimbursed by the insurance plan administrator on behalf of the insurance carrier. The policy underwriter is commonly referred to as the insurance carrier and is the party who underwrites the insured’s eligible medical risk loss that is submitted as a claim, thereby is the company that furnishes the dollar amount towards servicing the claimed amount. If your visitor insurance policy may offers a direct cashless billing as a feature, this claimed amount is directly settled with the care giver who is part of the preferred provider (PPO) network or even a doctor, hospital or laboratory that is outside the network also. This eliminates the unnecessary steps involved for you as the insured to pay billed amounts out of your own pocket and claiming the amount from the plan administrator. Payments of claims will be subject and approval of the claims department at insurance company who will verify the information provided and makes the appropriate payment, the amount typically based on the Usual, Customary and Reasonable (UC&R) basis, to all eligible parties. Download appropriate claim form online and complete it. Cover letter with a brief explanation of submitted claim and any special instructions. Provide copy of passport, including visa page, photo page, and port of entry/exit stamps. Provide copy of I-94 stub, if insured is visiting USA. Provide a copy of the medical bill for the eligible medical expenses. Provide a copy any other treatment charges with services itemized to support your claim. 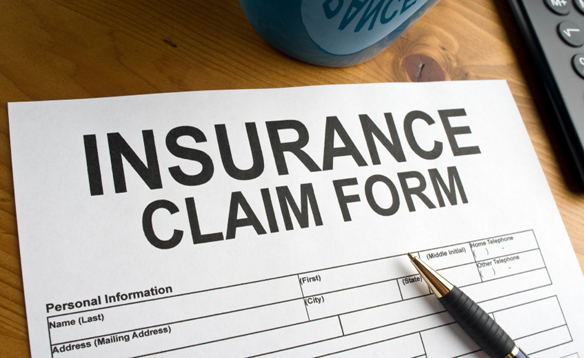 Filing a claim is a mandatory process to ensure that you are rightfully reimbursed per your visitor insurance policy. The claim handling address, filing process, and contact number can also be found on the insurance policy documents. This may involved completing and sending the insurance claimant form along with all the necessary supporting documents that you may have collected to ensure that your claim is properly processed in a timely manner and also would speed up the claim process. All submitted claims submitted are sent in for verification as this step prevents any claim fraud. It is common for the plan administrator to routinely order the attending physician report to validate the claim directly for the doctor at the hospital where the insured has sought treatment for the sickness or injury. Also, the Medical Information Bureau (MIB) report is checked is made for any entries recorded electronically in the file of the insured to ascertain pre-existing conditions. The MIB also alerts its member insurance companies to omission and fraud in the underwriting of health insurance products. Only after due process to eliminate claim rejection, the claim is approved by the insurance company plan administrator and would reimburse the claimant of the policy. Providing hospital bills and all the supporting treatment charge documents for visitor insurance ensures smooth claims processing with prompt claims settlement for eligible medical expenses.